J. Miller and Company was founded in 1986 to promote the growth of professional construction companies through setting clear goals, developing strong internal systems and managing by the numbers. determines where you need to focus NOW. Dashboards – turning data into real information you can use from the Portland JLC show December 2012. 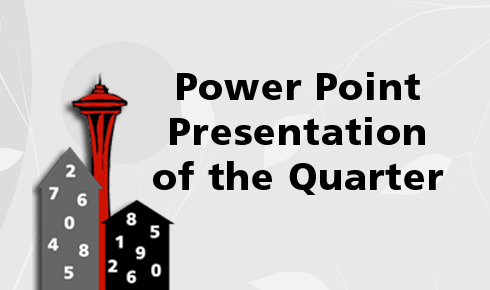 Every quarter I’ll review my library of presentations and pull a favorite to share. 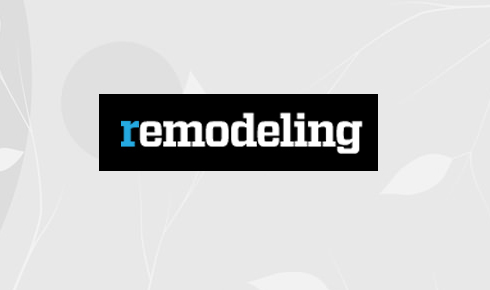 Written specifically for remodelers. You are taken on a step-by-step process through the setup of the 3 vital lists. You will be able to manage your jobs and your company “By the Numbers”! My very first column for Remodeling Magazine and still one of my favorites! Yes, it says by Sal Alfano but I think he was just waiting to see if I’d make the cut. I did and wrote the Benchmark Column on the last page of the magazine for years until ‘things changed.’ My bi-monthly columns still appear in the magazine. Judith- your last article on Measuring Labor Pains, out of all the single page articles I have read in 30 years, is the single most insightful and informative-it has been a long time since I read something and said YEP, Yep, That’s Right On, That’s Correct, That’s interesting, etc- Always sit up in my seat when I see your stuff now- well done. 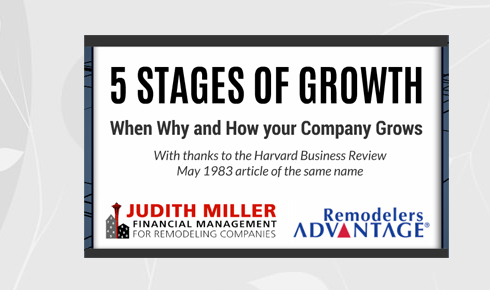 Over the last 13 years I have worked with Judith Miller in Remodelers Advantage and welcomed her straight forward, caring approach as both a facilitator and financial consultant. Judith has a gift for getting an important point across and making difficult accounting process’ (difficult for me might be easy for others) appear manageable to the accounting newbie and as well as seasoned business owners. Judith’s approach is kind yet direct and loaded with wisdom, although she is not quick to let someone off the hook, Judith has consistently shown the willingness to push through and be the bad guy in order to help me and others get unstuck, which is not always a fun position for the consultant. 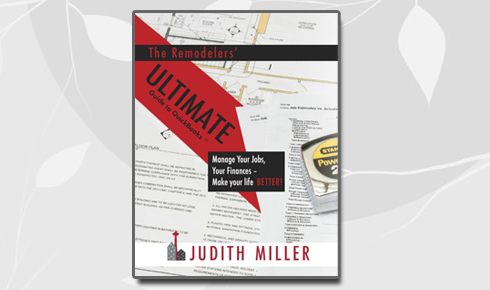 Judith Miller has seen a lot of remodelers succeed and fail and I have come to trust her seasoned eye for finding problems as I trust her ideas to make things better. Judith is considered by me and many others as a remodeling accounting expert and I am grateful for her friendship and leadership. We brought Judith onboard to assist us in transitioning our organization into its’ next business phase. Judith brings a wealth of knowledge to the table, she has a strong understanding of the bench mark numbers, knowledge of and access to phenomenal resources, as well as a pulse of the new trends within the construction/remodeling industry. It’s been hard work; with a significant investment in time and resources, along with many very difficult decisions to work through but with her honesty and personal commitment, we are making the transition and seeing results! I am grateful for your help in getting our financial reporting more in order and setting me on a better path for success with my business. I think it's been at least four years now since our initial session together, and looking back I can see that your coaching and mentoring was the most valuable and helpful input I have received since then.